This is undoubtedly N's favourite spread. The go to thing for a quick sandwich or an open toast. 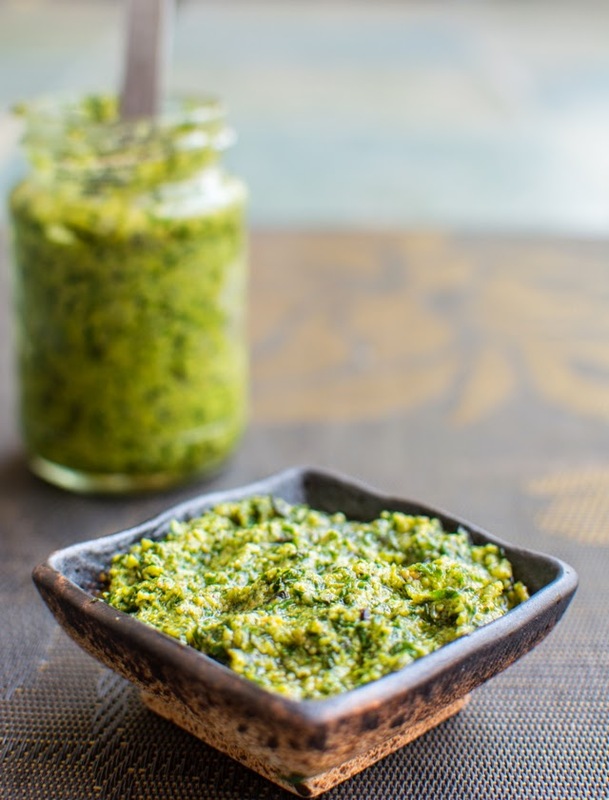 Her quest of finding the perfect basil pesto, without any adulteration of spinach or cilantro, without too much olive oil, and with that brilliant green colour had to end in only one way - making it in our very own kitchen. If you haven't tried this spread over, you've got to stop everything and cook this straight away. It is a life changer. Certainly was for N! 2 cups loosely packed fresh basil leaves. We needed to source this from a grocery store since the one we grow at home never has some large and colourful leaves. 1. 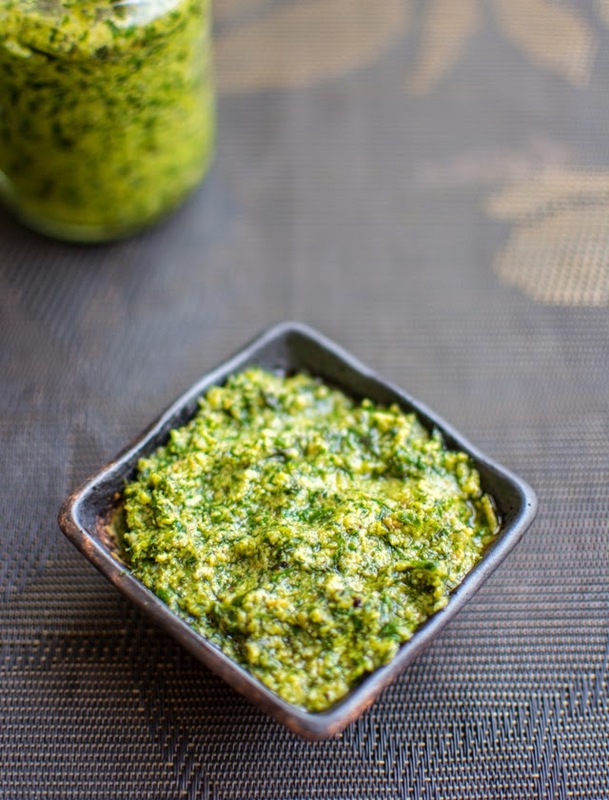 Most important aspect in a good basil pesto is to ensure that basil leaves retain their colour and do not get brownish on grinding. Blanching basil leaves is the easiest way to ensure that. 4. Add salt and parmesan cheese. 5. Pour olive oil on top for storing to avoid pesto to come in contact with air. Enjoy on a garlic toast or pesto sandwich or pesto pizza or with pita chips. Doesn't matter what you take, you will always enjoy this.